A Disgruntled Republican in Nashville: Gov. Bill Haslam to be First Tuesday guest on Monday, Feb. 6. Gov. Bill Haslam to be First Tuesday guest on Monday, Feb. 6. Many of you heard at our last 2 events that our Hosts at Waller Law need their conference room on our typical meeting day. Therefore we will meet Monday, FEB 6th. 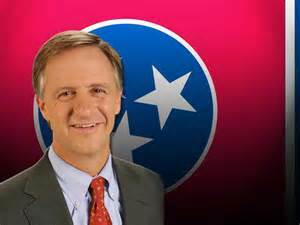 Returning to 1ST TUESDAY as our guest on Monday, FEB 6th will be Tennessee Governor BILL HASLAM! There will be a litany of HOT TOPICS to discuss. Here is your opportunity to engage 1st hand at 1st TUESDAY with Tennessee’s Chief Executive! Given the demand for seating … Those who have paid their 2017 annual 1ST TUESDAY dues will have 1st priority. Visit the 1st TUESDAY website [www.1sttuesdaynashville.com] and click on ‘’JOIN US’’ to address dues, secure your seating and seating for you and those you’d like to JOIN US at 1sT TUESDAY on Monday, FEB 6th. Pass the word ! See you on MONDAY…Feb 6th !